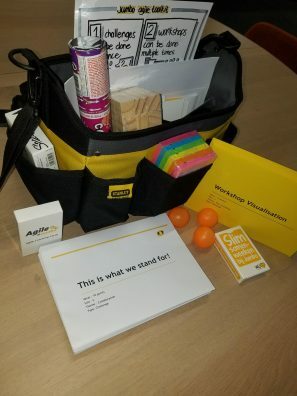 The content of the Agile Toolkit is a reflection of what is in our personal Agile Toolkit, with exercises and workshops that are about the individuals, the teams and the environment of the teams. 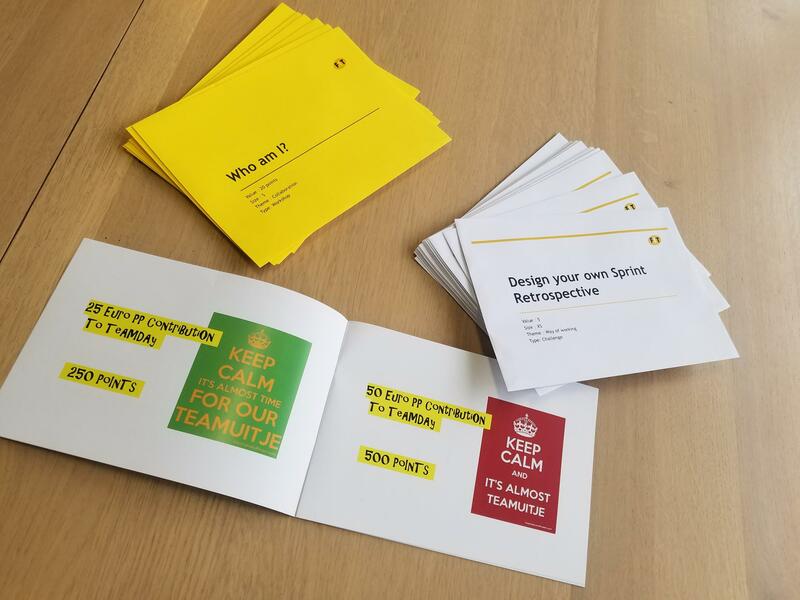 It consists of numerous challenges from a deep dive into the Agile Manifesto, what do the Scrum Values mean to you, to the creation of a logo and a name, meet your stakeholders, compliments and feedback exercises and a lot more. I t also includes numerous workshops like a DISC workshop, a Lego Simulation, and a Visualization Workshop. With the execution of the Challenges and Workshops, teams can earn points (visualized by orange ping pong balls in a big vase). These earned points can be traded in for Rewards, which are things like; cake for the whole unit, the team logo printed on mugs or fun team events. 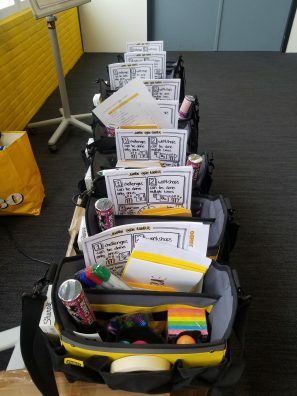 Next to the challenges we added a lot of useful things to the toolkit; Sharpies, sticky notes, tape, Planning Poker Cards, balloons, confetti and more. 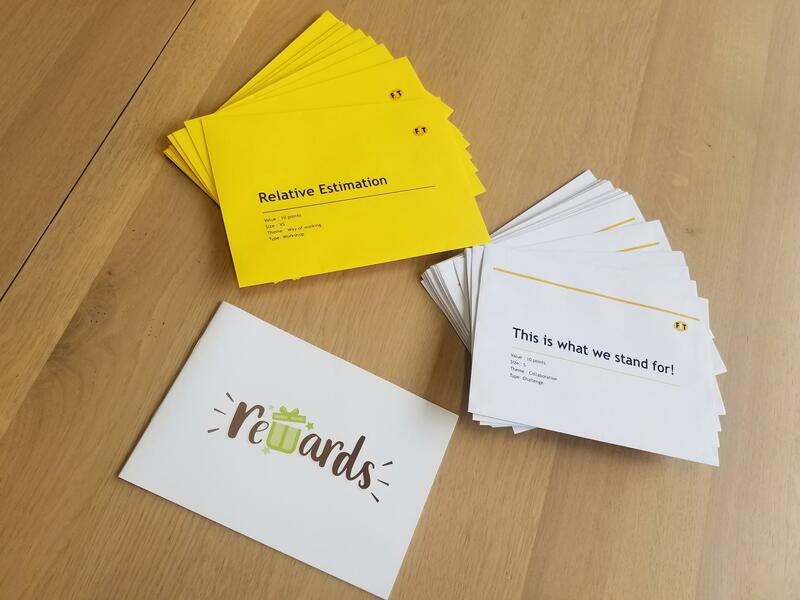 We even created our own Agile Coaching Cards! 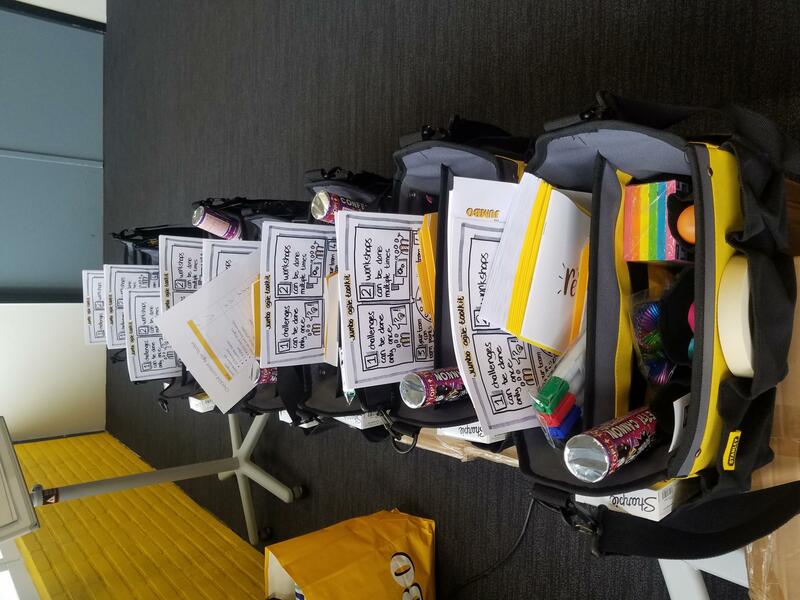 To obtain the Agile Toolkit teams had to come up with a 6 word story, which describes the purpose of the team. Always a good starting point to think about your purpose! We also developed an Agile Maturity Model to support the teams in getting insights in where they stand in Agile Maturity. The next blog will be covering that subject!